A few years ago, Jeff Han gave a demo of a low-cost way to create large multi-touch surfaces using the FTIR technique. The talk generated a lot of excitement and a surge of DIY projects on how to build multi-touch screens and tables. We started a RainyDayProject and assembled the parts needed (directions, projector, LEDs) to put a multi-touch table together. The project never got past the planning stage because we realized a practical flaw with the system. The resolution of inexpensive LCD projectors are so much lower then most computer systems. This would make any system we make very expensive to upgrade, and so the project was shelved. On Nov 4, 2010 Microsoft released the Kinect accessory for the XBox 360 gaming system. In a matter of days (three to be exact), the Kinect was hacked to enable it to do a lot more than just talk to the XBox. 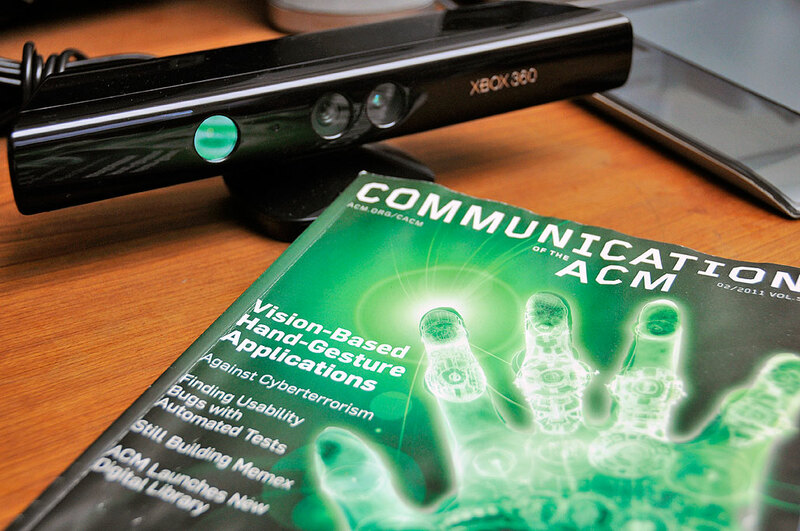 Since we are not big gamers, we hadn’t paid much attention to the Kinect until we read an ACM article on vision-based hand-gestureapplications. The article was by Juan Pablo Wachs of Purdue University. The ACM article made it easy to understand the potential of technology. Considering the street price for the device ($150 retail, $100 on Craigslist), it is quite the bargain. Another piece of great news is this very hackable device has even been hacked to run on the Mac. The folks at iFixIt.com did a teardown of a Kinect. It showed a surprising amount of tech inside the unit, including two cameras and an IR projector. This new hand-gesture user interface modality is intuitive, low cost, and display independent. With a camera system like the Kinect, Microsoft has taken the lead in hand-gesture interface. Readers interested in understanding more about the algorithms behind the gesture recognition can take a look at this paper from Microsoft Research. Those who just want a glimpse of what this tech can do when connected to something other than an XBox should check out the video below. Later this Spring, Microsoft Research will release an SDK for talking directly to the Kinect hardware. 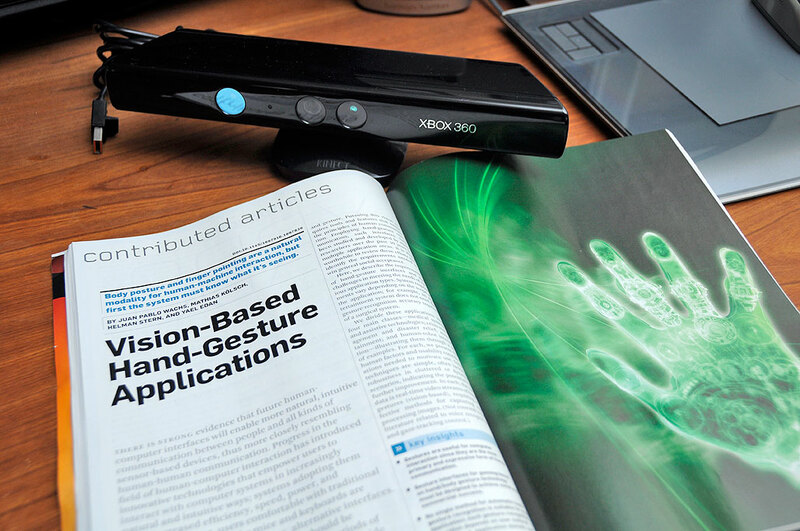 The SDK will enable anyone interested in using the Kinect camera system to experiment and incorporate hand gestures into their applications. We can’t wait to see what we can do with it.